Do I Need Ambien Rehab? Is There Ambien Treatment? How to Pick a Top Ambien Rehab? What is Ambien? Is Ambien Addictive? Ambien is one of the most widely prescribed drugs in the US. There is a plethora of anecdotal evidence detailing how addictive Ambien is in discussion boards, blogs, and consumer websites. Find a Treatment Center If you see the signs of addiction in yourself or another, don't wait to get help. Find a treatment center now. Unlike other highly abused prescription medications, there is a dearth of recent evidence-based research for Ambien, and its high-risk profile and likely side effects are played down in pharmaceutical marketing and advertisements. Just last year, the FDA revised label information and reduced dosing recommendations for Ambien because of the risk of next-morning impairment. While primary care physicians are beginning to have a better understanding of prescription drug abuse among their patients, sleep aid dependency is still under-diagnosed. Given this context, trying to determine whether you are dependent on Ambien and need rehabilitation can be extremely difficult without the guidance and expertise of medical providers who are trained in addiction prevention and treatment. That said, there are some common factors that can indicate whether you would be a good candidate for rehab. Prior unsuccessful outpatient treatment for Ambien dependence. Ambien addiction is serious, and the withdrawal and detoxification process is said to be as difficult, if not worse, than that of prescription pain medications and heroin. While this acute phase only lasts a few days to a week, attempts to quit alone can be dangerous, and frequently end in failure. Ambien treatment follows a series of steps that have been carefully calculated to move you through the acute withdrawal and medium-term detoxification as safely and effortlessly as possible. Entering Ambien rehab helps remove barriers to successfully transitioning back into healthy, sober living. Rehab will likely include the steps listed below. 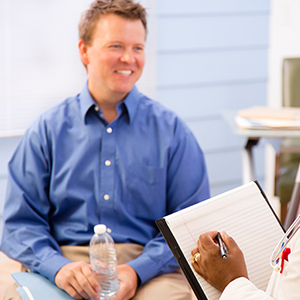 Upon admission to rehab, practitioners conduct a comprehensive physical and psychological assessment to gain an in-depth understanding of your unique path to addiction and goals for recovery. Detoxification--when the body rids itself of toxins after Ambien use is stopped--is a necessary next phase. Rehab medical staff is trained to administer medications (such as tapering with other benzodiazepines and/or rapid detox with flumazenil) that alleviate unpleasant withdrawal symptoms, and provide a supportive environment that encourages recuperation. Following detoxification, and/or as an adjunct recovery support once the acute physical stage of detox is completed, you will participate in psychosocial counseling and therapy. Your mental health is as important as your physical health in recovery. Understanding your motivation to use Ambien to excess is critical to understanding the keys to your long-term sobriety. Depending on the recommendations of your treatment providers, you (and in some cases your family) will participate in therapy and you will gain a comprehensive understanding of what causes your disease and how to handle life without abusing Ambien, something that often seems impossible to imagine in early recovery. Biofeedback, a type of relaxation therapy that helps individuals deal with insomnia during treatment by managing psychological and physiological arousal during the night. CBT aims to change dysfunctional thought patterns about sleep, and alter patients' expectations so they fall asleep more easily. The prospect of entering rehab for Ambien dependency can be daunting. Deciding to commit to life without your addiction is in and of itself an incredible milestone. You deserve to give yourself the best possible care and support during the initial phase of recovery, both to make the process as comfortable as possible, and to reduce your risk of relapsing. Please call 1-888-993-3112Who Answers? to find a suitable Ambien rehabilitation program for yourself or a loved one that provides the physical, mental, and emotional support and expert services you need to succeed in your recovery. A break from the triggers that led to addiction in the first place. Because of this, the gold standard of treatment follows the adage, longer is better. Longer rehab stays range from 60 to 90-days. However, most people typically follow a 30-day program because of limited time and financial resources. Rehab provides expert recovery support that takes each individual's motivation to use Ambien into account when developing a tailored recovery plan. For example, many people become addicted to Ambien after using it repeatedly recreationally to reduce the effects of stimulants. These individuals will require a different care protocol than someone who became addicted to Ambien after taking it for insomnia. Tailored interventions significantly improve the likelihood that you can successfully move past being addicted to Ambien. Three examples of rehab types are residential, private, and executive. A residential rehab facility offers 24 hour trained medical supervision and has the advantage of providing a safe space free from your particular addiction triggers (people, places and things). Private and/or luxury rehab facilities are as the names connote - residential treatment centers with many additional features designed to promote comfort, wellness and overall wellbeing. Private rooms, and amenities such as yoga, spa treatments, horseback riding and fine dining distinguish private rehab centers. Often the geographic location of these centers (e.g. by the ocean, or in a tranquil nature setting) is exceptionally beautiful as well. An executive rehab facility is even one more step up from the private and/or luxury rehab because it allows people to continue working throughout the treatment process. Often individuals in similar places in life are placed together (e.g. celebrities with other celebrities, CEO's with other CEO's) to encourage recovery by enhancing social support. Finding adequate financial resources for whatever type of rehab you identify can be a challenge. Insurance (covered below) should cover much of the cost. If you are uninsured, obtaining loans--from the public sector or from friends and family--is a useful course of action. If you are a full-time employee, look into whether your employer provides employee assistance programs as part of your benefits package. Selling personal items to obtain funding is also an option, though probably a choice of last resort. Does Insurance Cover Ambien Rehab? As of 2010, the passage of the Affordable Care Act has mandated that insurance companies provide mental health and substance abuse coverage. As with any procedure or treatment, contacting your insurance company and thoroughly reviewing the terms of the medical policy, deductions, exclusions and reimbursement is important in advance of entering Ambien rehab. The number of days that will be covered. Whether you are required to enter outpatient treatment first. Obtain clarification on the 'small print' and precisely what benefits are part of your plan. 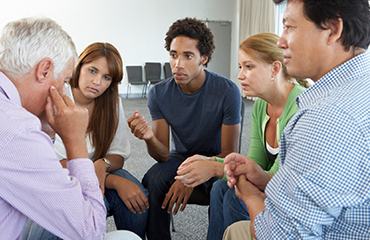 Find a Meeting 12-step meetings are great ways to find support and maintain sobriety. Find a meeting now. Ambien addiction is serious, and most people need long-term aftercare and recovery support services to maintain sobriety. Participation in Narcotics Anonymous and/or other support groups, and avoiding previous Ambien addiction triggers are recommended. As mentioned above, there is no 'cure' for Ambien addiction per se, but there are effective strategies for managing cravings, and maintaining a healthy and sober life after treatment.Creating an optimum aftercare plan and obtaining personalized wellness recommendations is a key component of sustained recovery. One of the biggest challenges in aftercare post-rehabilitation is trying to grapple with the insomnia that likely led you to begin taking Ambien in the first instance. After rehab, trying to overcome insomnia without assistance is tough. Persistent insomnia after rehab has traditionally been treated with benzodiazepines. Recent research however shows that behavioral interventions such as cognitive behavioral therapy (CBT) are effective, and reduce the risk of becoming dependent on another medication. Specifically, CBT addresses underlying causes of factors that interfere with sleep and sleep-related anxiety, both of which can continue long after the initial phase of treatment is completed. Efficacy of treatment programs and protocols. Selecting the appropriate Ambien dependency treatment environment is a very particular process. Make the right choice by first identifying the most effective treatment option for you. Call to speak to a treatment support team member about Ambien addiction treatment options, 24 hours a day, at 1-888-993-3112Who Answers?.